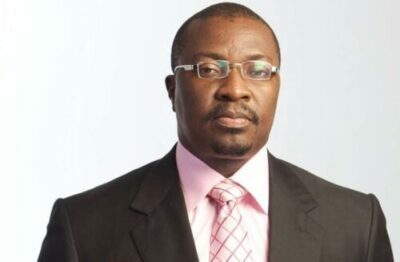 Nigeria’s king of comedy, Ali Baba, has reacted to the photo of big and bold corper currently trending on internet. The Veteran Comedian took to Instagram page to warned that some things should not be used as joke. I have seen this picture online and ignored it. I received it from 6 different people. Amusing as many found it, I did a double take. Only God knows how much guts it took her to wear that and pose for the picture. But that doesn't matter. She is a graduate. That doesn't matter. She offered to serve Nigeria. That doesn't matter. She posed for the picture. That too doesn't matter. What matters to some is just the laughs. I'm a comedian, So we tease everyone. But sometimes we need to know how sensitive some issues are and skip skip skip… We all have our issues. May not be weight related issues. But we sure do have them. Come to think of it, this lady here may just be the sweetest friend to some people. She may be a chronic romantic to a high heavens. Strong Christian with the genuine fear of God. Can be trusted with secrets. Generous to a fault. Very lively. Awesome cook. Home maker. Talented singer. First class graduate… But she won't cut across like any of those things I just listed. The one that you will choose over her will be a size 10 slay queen. That has no degree. No respect. No home training. Kisses and tells. Has no friends. Can't be trusted. Knows all the babalawos in the outskirts of town. Husband snatched… yes, that slay queen will get 50,000 likes. But this One? Naaa. Don't get me wrong nooo… She needs to keep for so she can be healthier… But when you consider all the good qualities she may have, her weight counts less.